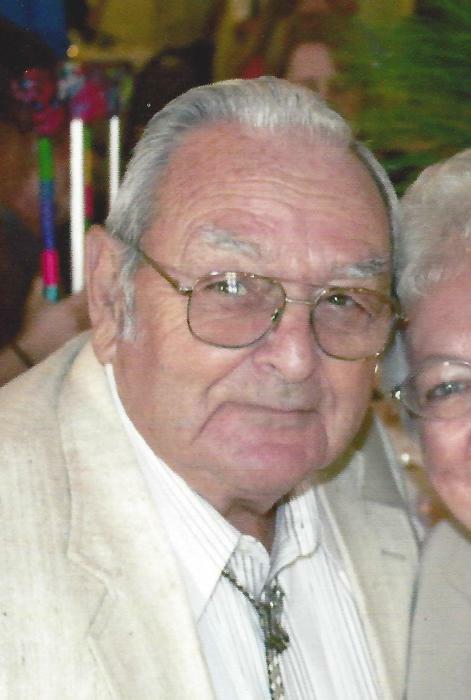 Obituary for Gerald C. Faust, Sr. | Hamilton-Breiner Funeral Home & Cremation Services, Inc.
Gerald Carl Faust, Sr., 85, of Orwigsburg passed away Wednesday, February 13th, at his residence. Gerald was born in West Brunswick Township on August 8, 1933, a son of the late Dorothy F. (Frantz) Faust-Shellhammer and Guy Irvin Faust. He was the husband of Martha May (Reed) Faust. He was a member of Zion's Red Church Orwigsburg. He was a lifetime member of Schuylkill County Motorcycle Club, a member of the Schuylkill County Motorcycle Drill team and Landingville Fire Company.He was retired from H.L. Miller & Sons at the age of 62. In addition to Martha, his wife of 66 years, Gerald is survived by his daughter, Brenda, wife of Roger Mojon; three sons Gerald C. Jr. husband of Gini , Guy, husband of Janice and Duane, husband of Sheri. He is also survived by fifteen grandchildren , ten Great Grandchildren and was expecting his eleventh great grandchild in April. He was predeceased by a brothers Vernon and Harry Faust and his grandson Gerald C Faust. III. A religious service will be held Monday, February 18, 2019 at 11:00 AM at Hamilton- Breiner Funeral Home, Orwigsburg with Rev.. Kenneth T. Melber, Jr. officiating. friends are invited to call from 9:30 AM until the time of service. In lieu of flowers, donations can be made to Zion's Red Church, PO Box 334, Orwigsburg, PA 17961. Interment is private at the convenience of the family.